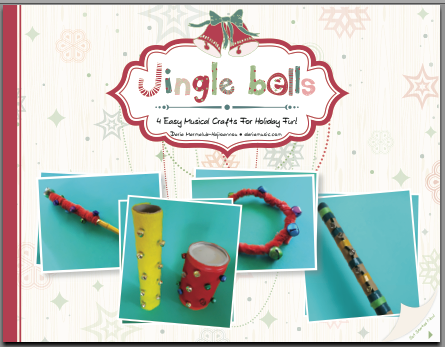 Get This Jingle Bell Craft Book – Free! When the winter holidays roll around, who doesn’t love the sound of jingle bells? 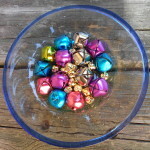 And those great little jingling bells can be used to make a multitude of creative sensory crafts for kids. 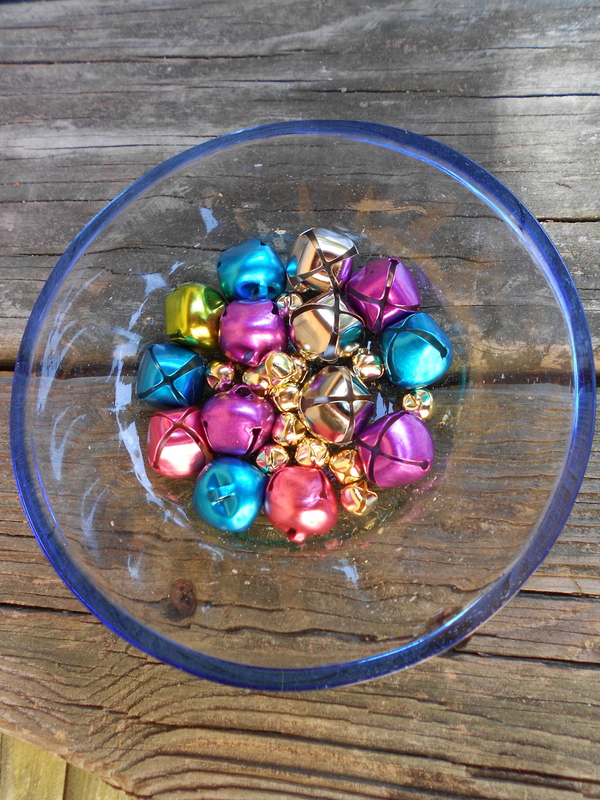 Because they are such a great winter activity, we’ve assembled our top 4 jingle bells crafts into a handy E-Book perfect for this time of year. So what were our top 4 crafts? 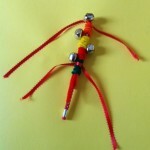 Number one was our easy jingle bracelets or anklets using yarn or pipe cleaners and beautiful bells. (I’ve heard back from parents who’ve enclosed these with their holiday cards!). 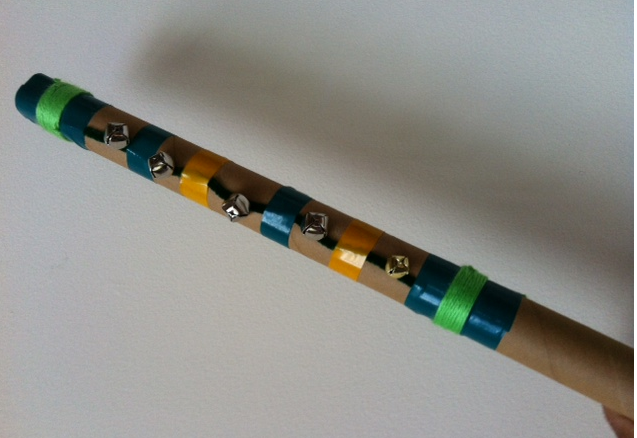 Number two was “jingle pencils”, super easy to make with on-hand materials and perfect for large groups – then using for a holiday sing or caroling fun! 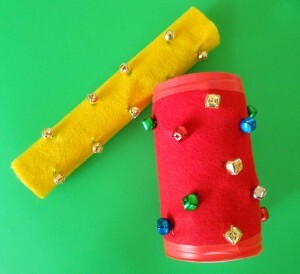 Number 3 was a jingle tube craft using any round container like a coffee can or an oatmeal package. These are sturdy and beautiful and you’ll want to use them as part of your home music basket or music therapy lessons for months to come. Lastly, our favorite totally green holiday craft reuses both the cardboard tubes for wrapping paper and left-over wrapping materials to make your own jingle marching sticks. To get this E-book, just send me an e-mail at daria music at yahoo dot com. Make the subject “Free Jingle Bell Book”. I’ll send a return e-mail with the E-book and ask you if you would share the link for my TPT store (which is filled with freebies) or share on social media or maybe even do a review on your blog! No worries here, do as much or as little as you like! Will I check up on this? No. I meet the nicest folks through my blog and my music materials. 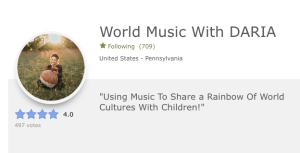 They are parents, teachers, homeschoolers, music therapists and they love making music a part of their children and family’s day. If you enjoy what I create, I’d appreciate any sort of shout out because that’s precisely how I find the most awesome new friends and fans! 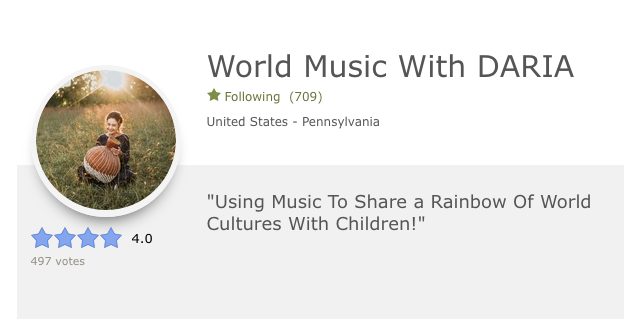 Would You Kindly Follow Me On TPT? 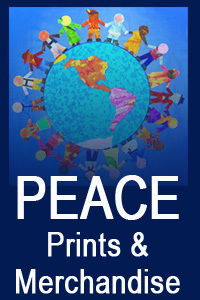 If you follow me on my TPT store, you’ll get first notice of all my music, world music and world cultures fun. There’s even a special section listing over 50 freebies. I’d love to stay connected with you! Many cultures celebrate the Spring with music and festivities. In The British Isles, traditional morris dancers have bells on their legs and sticks in their hands that they use as part of the choreography of the dance. You can use the same ideas to celebrate the season or as part of music and movement fun; indoors or outdoors, any time or the year. We’ll be sharing a post soon about a variety of different dancing bell traditions from various cultures – each with it’s own simple craft versions you can try at home. For now, if you’re looking for an easy, wearable “morris bells” craft, check out the resources and links below. And what do you hold in your hands while dancing? 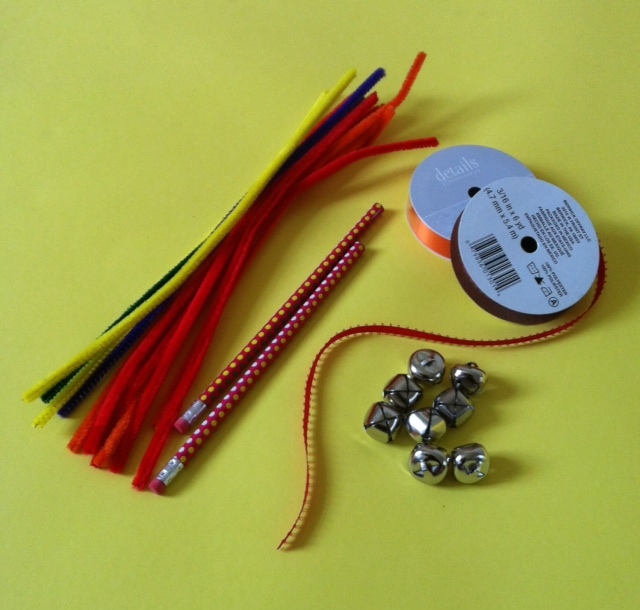 These bright and colorful jingle sticks are easy to make and fit perfectly in a child’s hands while they are dancing or moving – around a Maypole or during any dancing or movement activity. Start your stick by threading a jingle bell into the middle of a pipecleaner. 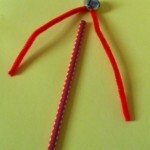 Then wrap both sides of the pipecleaner down over the pencil. 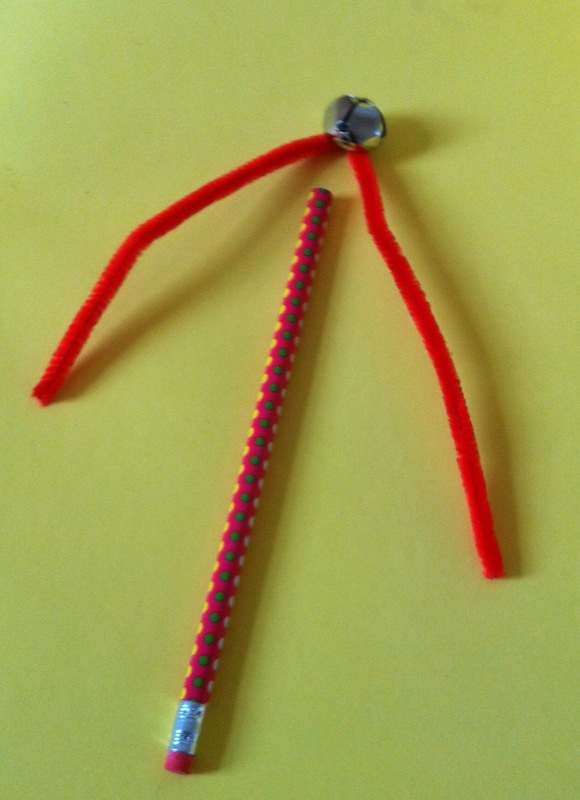 Take a second pipecleaner and wrap around the pencil until it is covered, adding jingle bells at regular intervals. When the pipecleaner is too short to wrap, start with another one and wrap the end of the last one underneath. 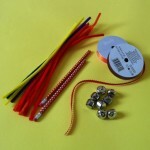 Use as many jingles as you like and then tie on pieces of colorful ribbons as streamers, if desired. What Can You Do With Jingle Sticks? You can use jingle sticks for playing music while seated at a desk in class in school. You can make a pair and hold one in each hand during any form or movement of free form dance. You can shake jingle sticks along with the beat of a favorite song. 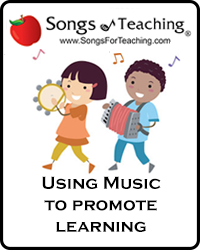 You can practice, left hand and right hand patterns while listening to recorded music or create left hand and right hand patterns while singing. One of the most wonderful things about making music with young children is that it easily becomes part of an active day. 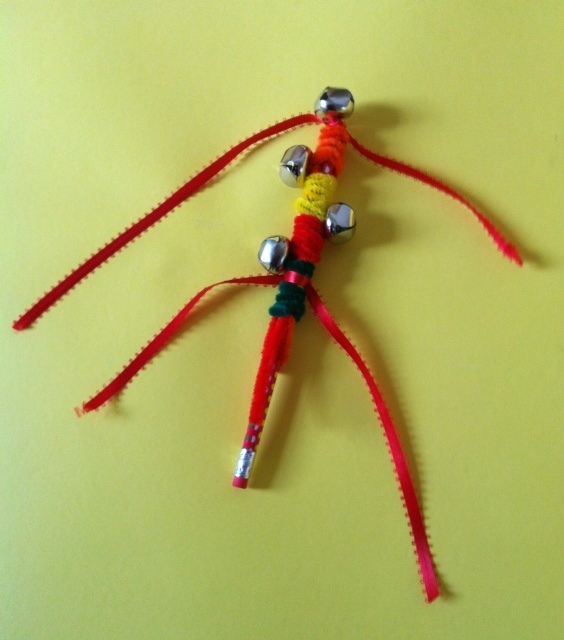 Who can resist making a parade or dancing around the house or the classroom when they are carrying a marching jingle stick? 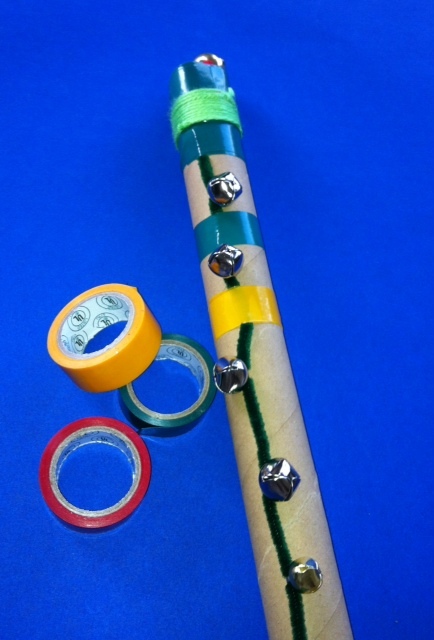 Best of all, the materials needed for this craft are often trashed (extra ribbon, tape, cardboard wrapping tubes, stray jingle bells) so this craft encourages you to upcycle, exercise and make music all at the same time. What a great way to begin the holiday fun! Optional: Paint, stickers, yarn or duct tape, for decoration. Begin by stringing any number of jingles onto a pipecleaner. Use electrical tape to fasten the pipecleaner into place on the stick. It helps to fasten the pipecleaners to the stick between the jingles as well. If you like, make several pipecleaners strung with bells to add to different parts of your stick. Once the jingles are in place, decorate the rest of the marching stick. Use paint, more tape, colorful ribbon, yarn or stickers to make it unique and wonderful. Other then using the jingle stick to lead a parade, there are lots of ways to get creative with your new instrument. 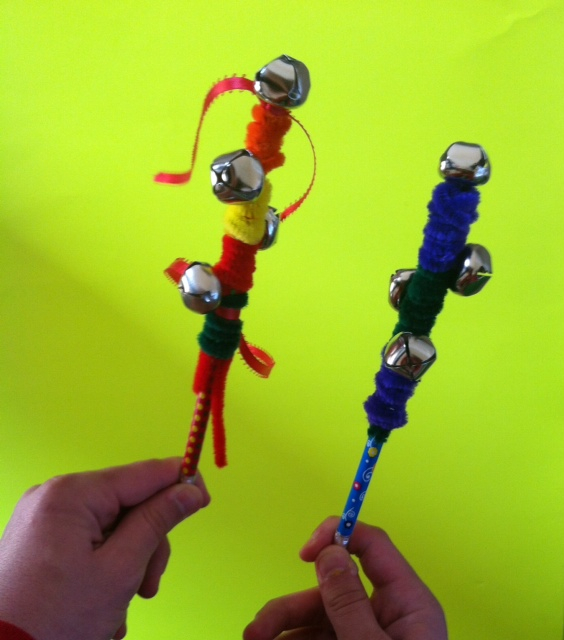 Sing any of your favorite holiday songs along to a beat created by your marching jingle stick. 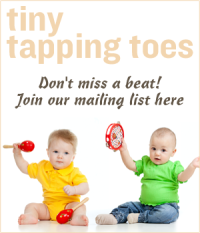 Try tapping the stick on the floor while marching and use that sound as part of the rhythm being created. Use marching jingle sticks as part of a holiday music presentation. Try playing the jingle stick at a particular part of the song (like the chorus) or when you hear a particular word in a holiday song. 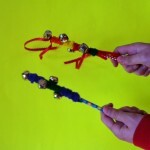 For instance, a class can jingle the bells only when you hear the word “jingle” in the song “jingle bells”. If you like, try it along to this version of Jingle Bells which shares lots of different ways to say “Happy Holidays” in different countries around the globe.